My father worked his career in the oil industry and in 1964-1965 he was posted in Libya. At that time the country was ruled by King Idris and was friendly to western countries, with close ties to the United States and Great Britain. Muammar Gaddafi took control of the country in 1969. I recently found these photos taken by my father during his time in Libya. 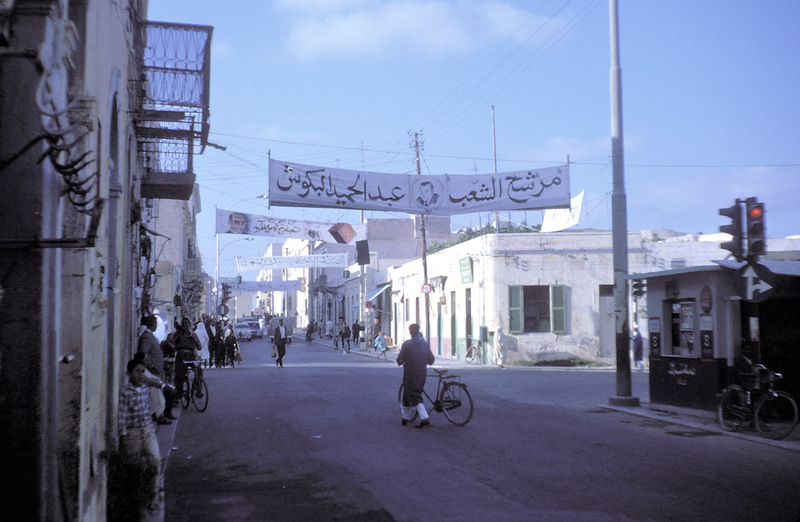 High Resolution This April 1965 photo shows election banners installed across a street in Tripoli. 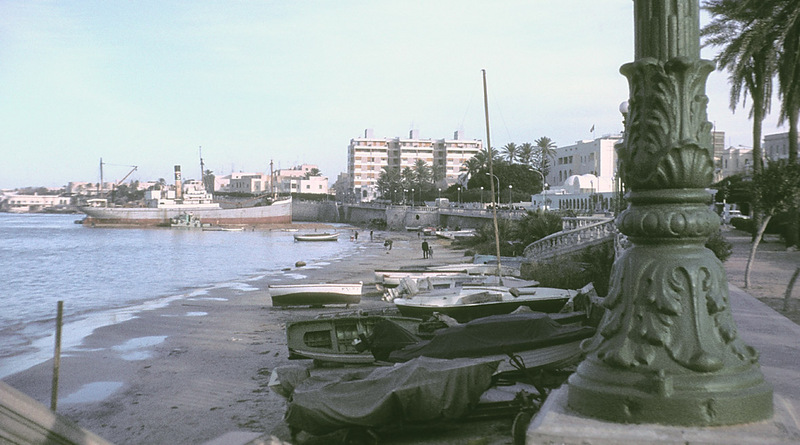 (December 1965) The waterfront in Tripoli. 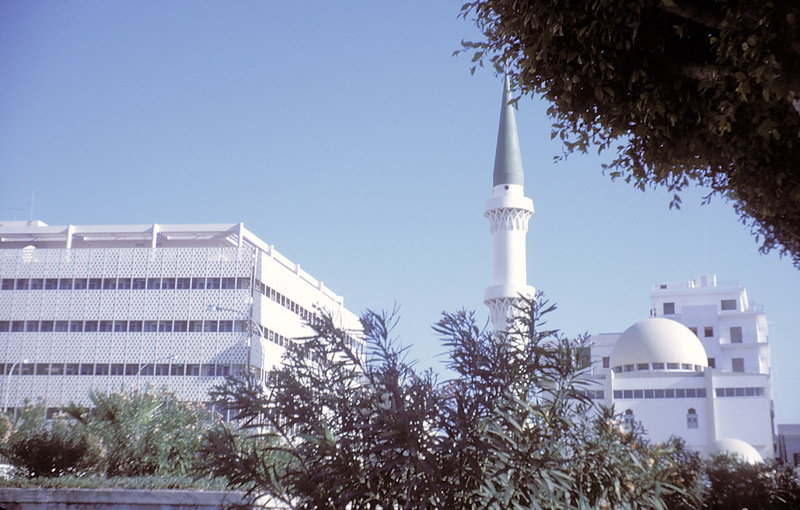 (April 1965) This office building in Tripoli was where both my parents worked. My mother worked for Mitchell Cotts shipping. 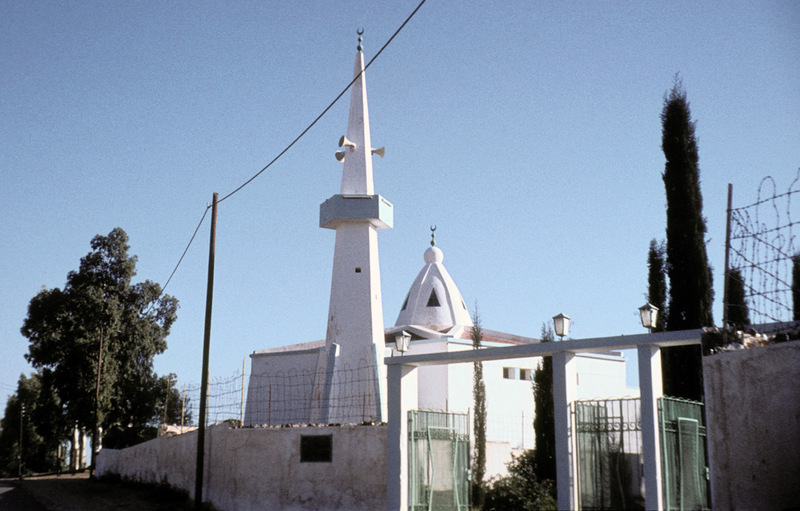 This slide showing a mosque was not identified or dated. 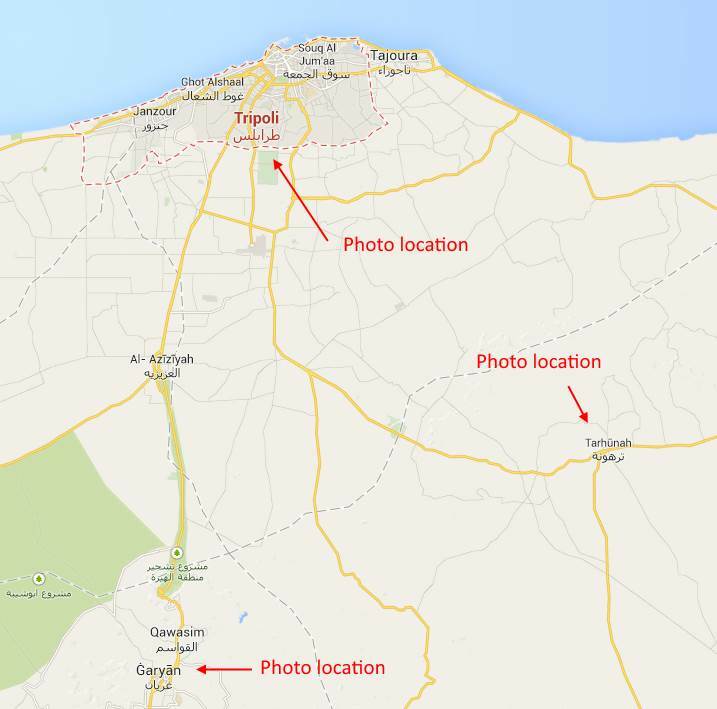 It is probably in Tripoli. 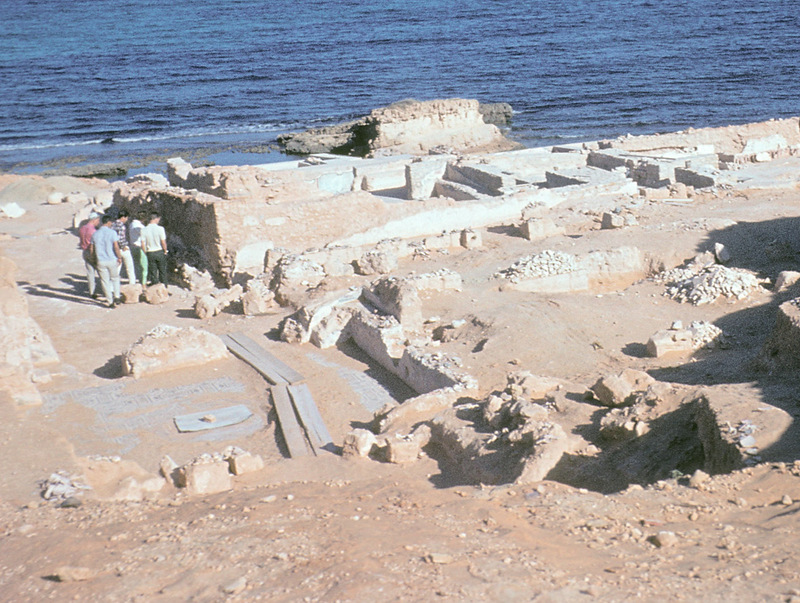 (November 1965) An unidentified archaeological site along the Mediterranean. 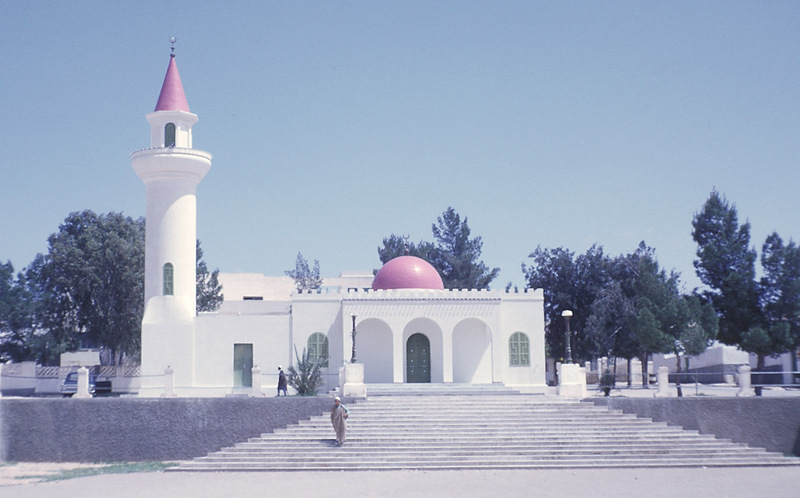 (April 1965) A mosque in Tarhuna. 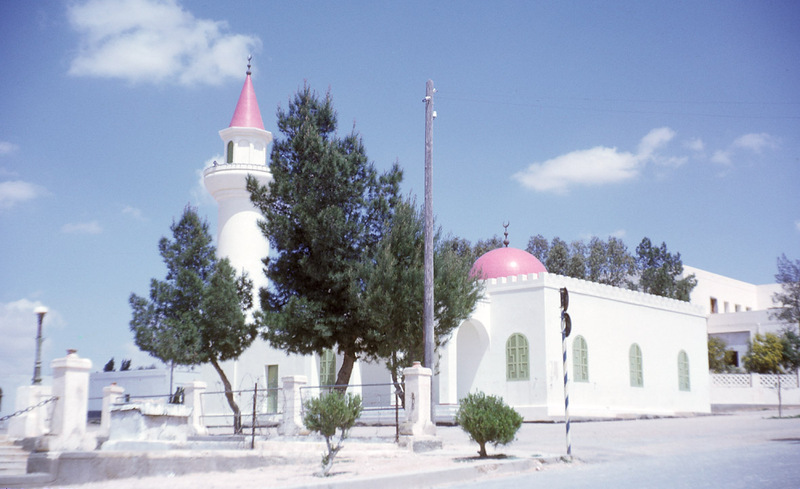 (April 1965) Another view of the mosque in Tarhuna. (April 1965) Garian. 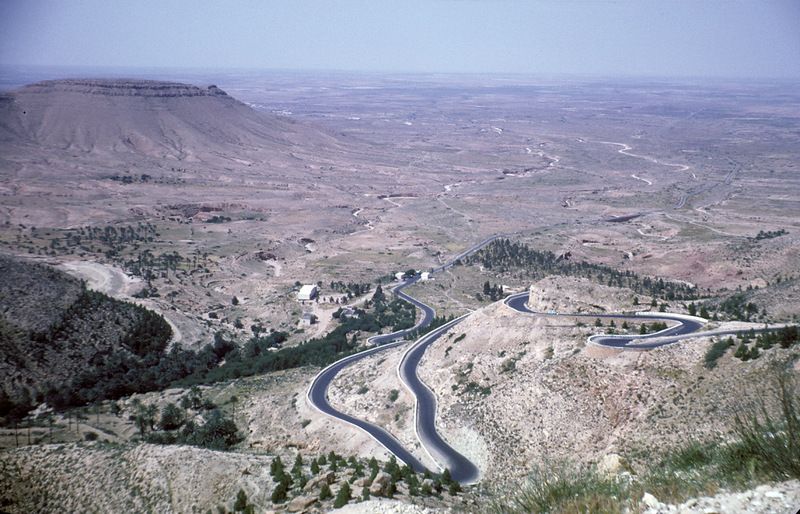 This type of landscape is similar to what you can find in many places throughout the southwest United States. 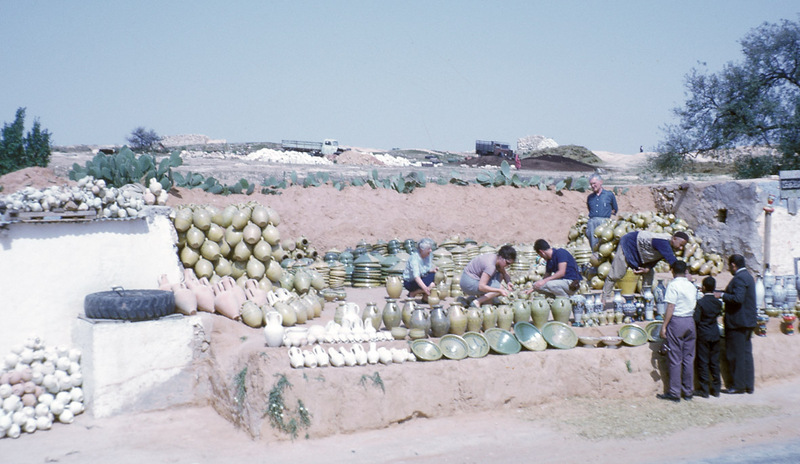 (April 1965) Pottery vendor in Garian. 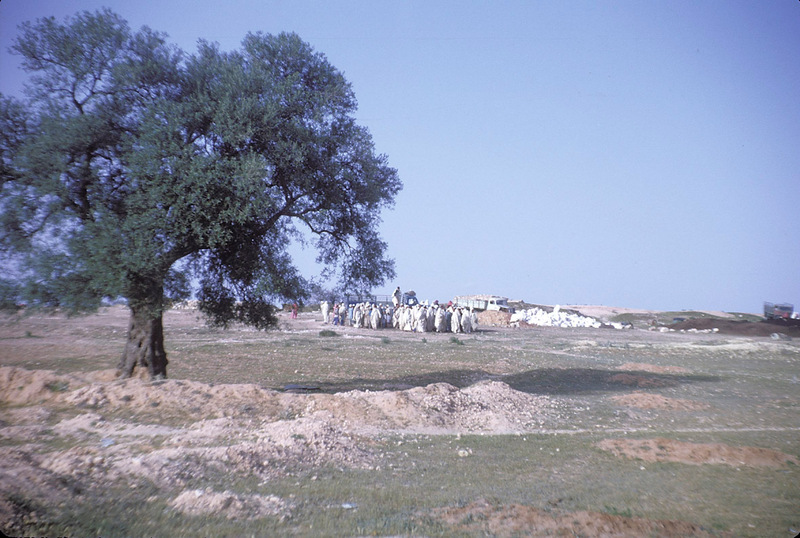 (April 1965) Garian, with a gathering of locals in the background.